For many sports injuries, you can return to play once you are pain-free, have no swelling, and you are at or close to 100% in strength and range of motion for the affected body part. It is a little different for concussions, though. Even if you feel fine the next day, you shouldn't be cleared for return to play yet. 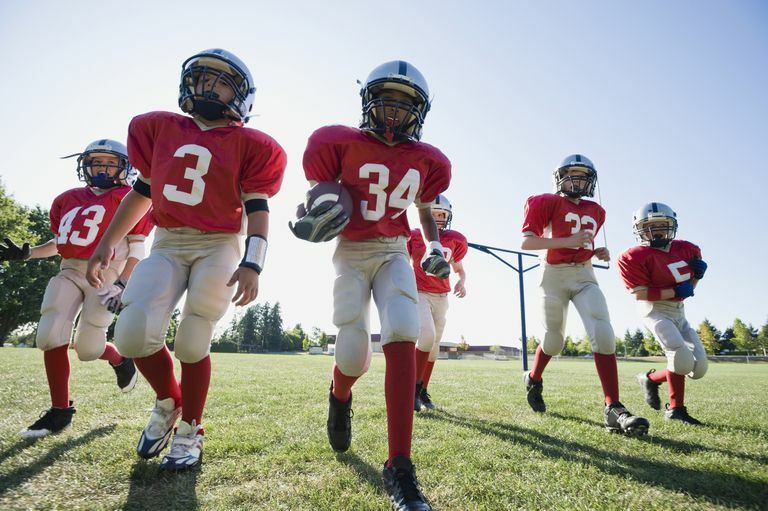 That can be hard for some kids to understand because unlike an ankle sprain, where an athlete will still be limping and hurting after a few days, the athlete who had a concussion might not have any lingering symptoms. A concussion is a form of mild brain injury that can occur after a blow to the head, such as a fall, but is most commonly associated with hits to the head during sports. After the hit or blow to the head, a child with a concussion may lose consciousness, may forget things that happened before or after the injury (amnesia), could have a seizure, or could have one or more of the classic concussion symptoms described below. In addition to treating a child for an acute concussion, a lot of work goes toward preventing complications of concussions. These complications can include having multiple concussions, which likely cause chronic, cumulative neurologic damage, and second-impact syndrome, in which a minor blow to the head can be life-threatening if it occurs while a child is still recovering from a concussion. More severe "red flag" symptoms that might indicate your child needs immediate medical attention might include a worsening headache, seizures, repeated vomiting, increasing confusion, or unusual changes in behavior, etc. After a concussion, whether a player rested or played depended a lot on who you talked to. Some kids quickly got back in the game, while others would be kept from playing for a few weeks. Experts now recommend a six-step gradual return to play plan for kids who have a concussion, with athletes moving to the next stage only if they remain free of all concussion symptoms. Using this plan, the earliest a player with a concussion would be back in a normal game would be six days. No activity - a recovery stage with complete physical and cognitive rest. This means no exercise or sports but can also mean not going to school, or having a shortened day. This is a time to get lots of rest, get plenty of sleep, and eat well. Light aerobic exercise to increase their heart rate (keep to less than 70% of maximum predicted heart rate), including 5 to 10 minutes of walking, light jogging, swimming, or stationary cycling, but no resistance training. Sport-specific exercise to add movement, such as skating drills or running drills, moderate jogging, brief running, moderate-intensity stationary cycling, but no head impact activities. The goal is for your child to have some limited body and head movement, but the amount of time should still be limited to less than he or she usually spends exercising. Non-contact training drills to raise exercise, coordination, and cognitive load, including progression to more complex training drills and resistance training, sprinting and running, high-intensity stationary cycling. This is a more intense workout that is close to your child's usual routine but is not to include any contact activity. Keep in mind that you shouldn't move to the next stage until you are symptom-free, which can keep some kids in the "no activity" stage for several days or longer. And if the athlete develops symptoms while doing any of the stages, they should drop back to the previous stage and try again once they are symptom-free. Concussion symptoms should not come back during or after any of the exercises or activities during these return to play stages. An Acute Concussion Care (ACE) Plan from the CDC can help to make sure you and your child, teachers, and coaches understand all of the steps involved in getting your child back to school and back into sports. Consider having your pediatrician fill out an ACE Care Plan for your child if he has had a concussion. And see your pediatrician again if your child gets worse or isn't getting better in 10 to 14 days. A pediatric concussion specialist can also be helpful to manage your child who isn't getting better or who has multiple concussions. Gioia, G. Acute Concussion Evaluation (ACE) Care Plan. 2006. McCrory, P. Consensus Statement on Concussion in Sport: the 3rd International Conference on Concussion in Sport held in Zurich, November 2008. Br J Sports Med 2009;43:i76-i84.